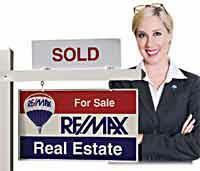 On average, RE/MAX Associates, sell more real estate than other agents. They are better qualified to set the right price for the homes they list, are better equipped to market those homes, and are likely to find clients engaged in the home buying process in a shorter period of time. No part-timers. No dabblers. No wheeler-dealers. A real estate organization that any buyer or seller can approach anywhere in the world knowing that only experienced, career-minded professionals work there. We have extensive knowledge of the Mahoning Valley and can help you find the right home for you or the right buyer for your home. With a RE/MAX Sales Associate, you'll experience a whole new level of service. This is RE/MAX Valley Real Estate.